However, data governance has been proven to show results. Many business drivers now require organizations to institutionalize data governance. All industries can benefit from data governance. For instance, in a particular case study, a global asset manager across 25 countries set about data governance. After a detailed study of the needs and wants of the company, certain standards were set in place. The data queries were directed to third party data managers, which left the company to manage its core business. 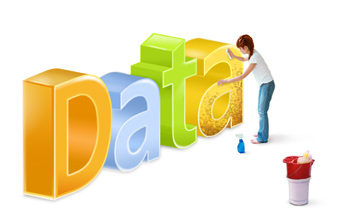 Data stewards are highly important in an organization. They are responsible for management of data elements, both content and metadata. He/she has to ensure that every set of data entered into the system has clear element definitions, does not conflict with other entries in any way, has clearly numbered values, remove unused elements, has adequate documentation, sources and meets standards, ensures the metadata has all the necessary information, and protect the database from any unauthorized change or security attack. A good steward ensures that the data is consistently used, and prunes out unused data from the system, fosters ease of access of data across different divisions, and lowers costs with respect to migration. Verdantis Integrity One is powered by process based AI based components which ensure data quality. It automatically classifies new item requests, structures information and streamlines data flow. It makes the ideal software partner for both data quality and data governance. Jessica is one of the most passionate marketing professionals in Verdantis. She is a strong proponent of Data Quality Management for large enterprises. For her, data drives performance.